Mod Salon is so excited to announce that we are your Cedar Valley’s exclusive Halo Couture Extension Salon! Who knew that a miracle wire and a hair weft made of 100% Human Remy Hair could give you that bombshell look. 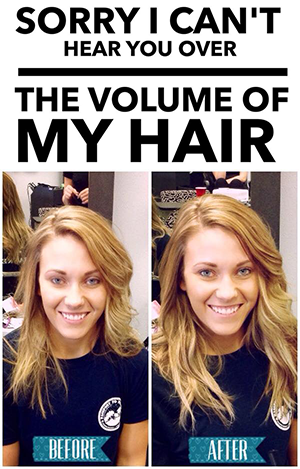 It is very easy to put into your own hair, whether you are looking for length or volume (Heck, why not both?!) There are over 35 different shades to choose from and come in four lengths (12″, 16″, 20″, 24″). What’s great is you can shampoo, blow-dry, curl or straighten the hair like it’s your own, whether its everyday or just an occasion! Here is a tutorial video of how the Halo Extension is put in. All you need is your Halo Extension, a tail comb and yourself to get these amazing transformations! Stop into Mod Salon to talk with any of our educated stylists and get your Halo! One of our very own clients is LOVING her Halo! Sometimes spelled balliage or baliage, is the art of hair painting. It stems the French word for “sweep away”. Balayage is the most exciting highlighting color technique to appear in a long time. Colorists and clients have fallen in love with the fabulous results. Color placement looks natural and organic, similar to the effortlessly random color you’d receive after a summer at the beach. Balayage is offered in many salons today, but not all results are consistent (it’s not as easy as it looks!). The colorist must be well-trained and have a sense of your hair’s texture and movement. The most natural-looking results are usually those that look like big chunks of randomly picked pieces (weird, right?) But, some of the most beautiful colors come from it! 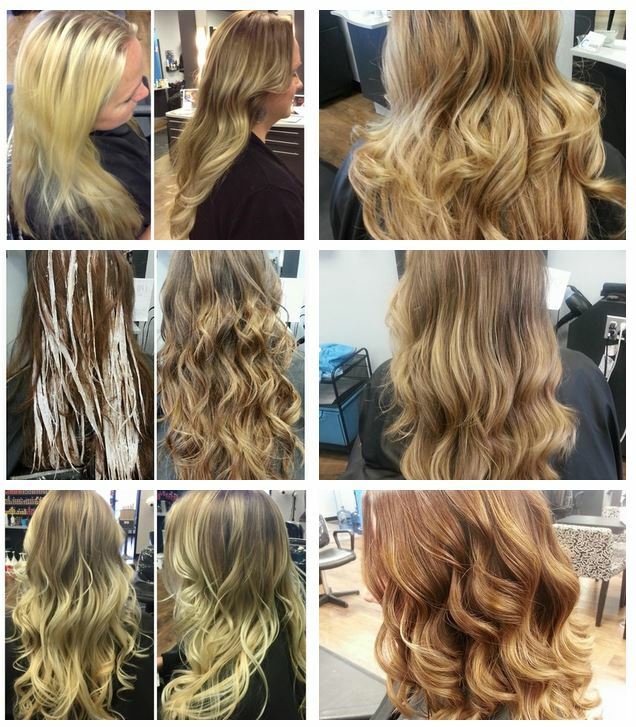 Check out some of Mod Salon’s very own balayage results and call 319-553-1080 to book your appointment for the newest color technique! With summer upon us and weekend trips, family getaways, boat journeys to the lake and chasing those summer-crazed kids, it’s time for women to learn about easy options for fresh-looking hair during summer. Essentially, how women can look their best, with little hassle and minimal fuss. What if we told you that you can have fresh looking shampooed hair without shampooing it? Well you can, DRY SHAMPOO! With a blend of refreshing starches and clean fragrances, it can extend time in between shampoo’s. Spending less than five minutes to spray this onto your roots whether its second,third or even forth day hair will reduce that “greasy” look and save you the forty five minutes you would have spent on hoping in the shower, blow-drying & styling your hair. 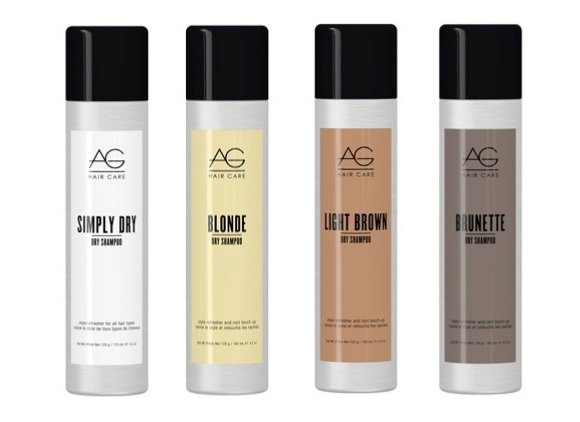 One of our great shampoo’s is the AG Dry Shampoo Collection. The Simply Dry is great for everyone because it will be invisible when worn. Whats awesome about the Blonde, Light Brown & Brunette is it’s a Dry Shampoo and root touch-up spray to help blend any outgrowth color. Visit AG Hair Care to learn more about their hair care products! Stop in to pick yours up! We are excited to announce that we will be starting in this whole new world of blogging. 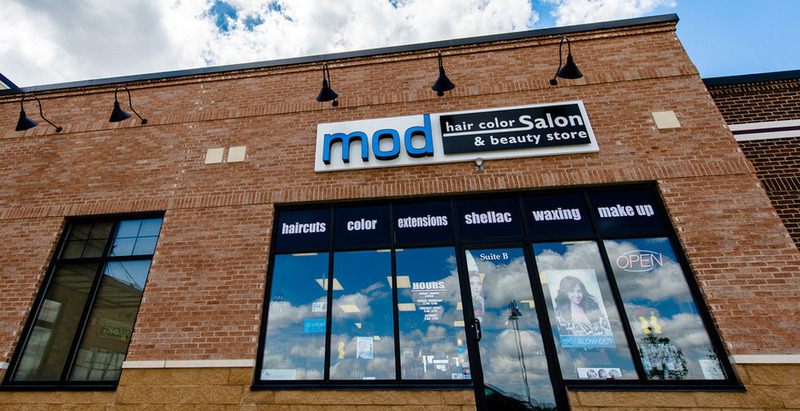 Ranging from hair tips, new products, haircuts, new color trends or just simply whats new with Mod. Stay tuned for our many exciting posts coming very soon! !